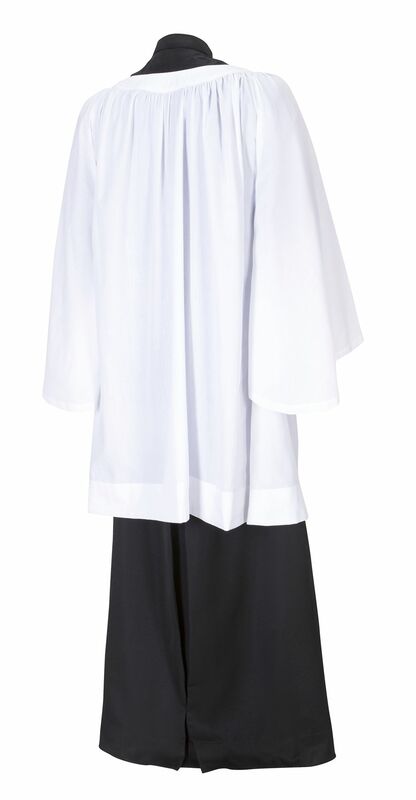 White Poly Cotton garment worn by Choristers and Clergy. Round necked with gathering into the yoke. 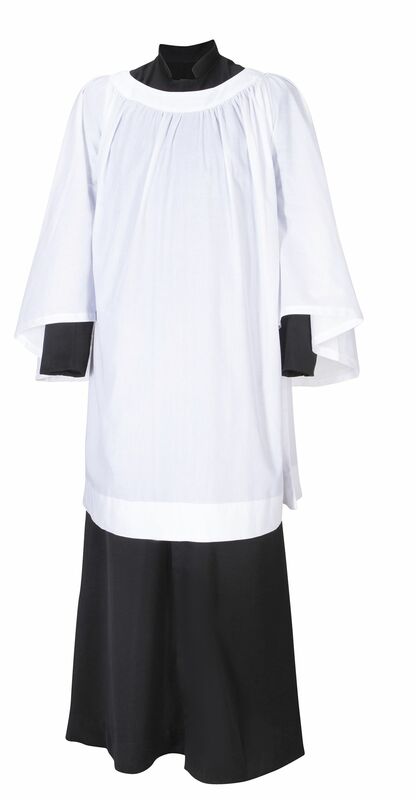 ALSO AVAILABLE: CHORRISTER'S CASSOCK, AS PICTURED HERE UNDER THE SURPLICE.